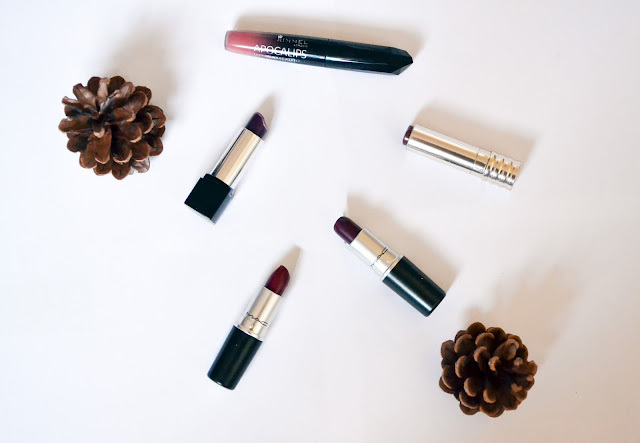 With autumn fast approaching, it's time to put the summer lip products away and dig out all the berry, deeper shade lipsticks, which I'm really excited for. These are the five that I'll be reaching for the most over the coming months. Although this is more of a lip gloss, I love it as it's not sticky like some other lip glosses. It's got a bit of a purple undertone and is perfect for an everyday autumn look. I impulse bought this lipstick a couple of years ago as I needed a deep colour to go with my Halloween outfit and wanted something really cheap. However, I actually really like this lipstick, it's not the most long lasting lipstick ever, but the colour is so gorgeous. I love this lipstick. It's a deep red shade, which is quite bold for me, but it's such a lovely shade and as with all MAC lipsticks it lasts really well. I know this is a favourite among many beauty lovers and I'm no exception. Again, this is a very bold colour, so I tend to only wear it on nights out, but it's so gorgeous and I'm so excited that it's nearing the time of year that I can wear it again. Omg!! These are some awesome shades, like I have to get some. Great recommendations💗💗💗 love this post! !